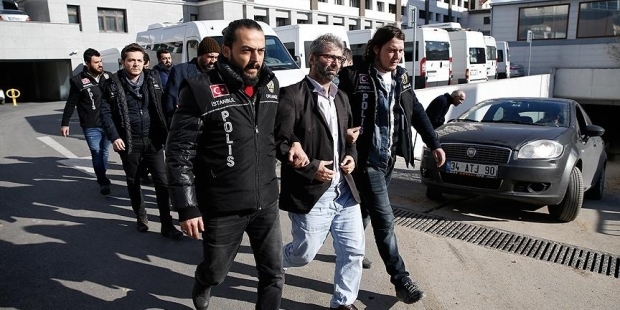 A total of 14 academics including professors, associate professors and research assistants from the İstanbul-based Yıldız Teknik University were arrested by a Turkish court on Tuesday as part of an ongoing investigation on the Gülen movement. The arrested academics are accused of using the smart phone application ByLock, which according to prosecutors is the top communication tool among members of the Gülen movement, accused by the government of masterminding a coup attempt on July 15. Critics, however, have blasted the government for detaining thousands simply for using a mobile application. Tens of thousands of civil servants have either been dismissed or arrested for using the application. Critics say the use of a technological application is not a criminal activity nor is it evidence of membership in a terrorist organization. Turkey survived a military coup attempt on July 15 that killed over 240 people and wounded more than a thousand others. Immediately after the putsch, the government along with President Recep Tayyip Erdoğan pinned the blame on the Gülen movement, inspired by Gülen. The movement strongly denies any involvement in the coup attempt.